"He is cordial, and has top-notch advocacy and excellent client skills." "Calm, authoritative and pragmatic." A top ranked matrimonial finance silk with an extensive practice in high net worth financial remedy cases, augmented with significant part-time judicial experience. In addition to the significant international aspect to the vast majority of his cases, he also has a significant practice at the Cayman Islands Bar. He has conducted many private FDR hearings, in which he is able to draw on his extensive judicial experience to assist in the settlement process. He conducts financial arbitrations, both as advocate and as arbitrator. 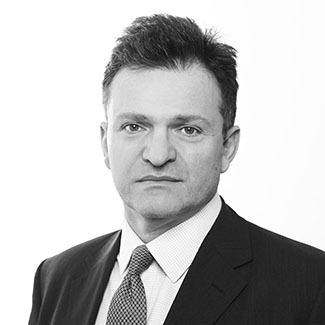 Nicholas was head of chambers at 1 Hare Court from 2011, when he succeeded Philip Moor QC, until the expiry of his term in October 2017. He spent 15 years as an elected committee member, officer and finally chair of the family Law Bar Association, finishing his term in 2013. Since 2007 he has sat as a recorder in Family cases, and since 2011 he has sat as a Deputy High Court Judge, in which post he has delivered a number of reported decisions, notably in the areas of nuptial agreements and the treatment of pre-acquired assets. In addition to dealing with all aspects of financial work in family cases, he has also conducted a number of International Child relocation cases both in the High court in London and in the Grand Court of the Cayman, where he was the successful advocate in the leading Cayman Islands Court of Appeal authority. High value financial remedies, Part III applications, Schedule 1 applications, International leave to remove applications. "He's technically brilliant, commercially astute and someone whose advocacy is second to none. His preparation is completely meticulous so his cross-examinations, even when he's confronted with the most fiendishly complex sets of documentation, are ruthless in setting out the simplest way in which his client's case is correct."